A view of the clubhouse in Horizon Hills in Nusajaya. Nusajaya has become a property hotspot in Iskandar Malaysia. JOHOR BARU: Property developers in Johor can look forward to a better year ahead as the industry in the state is beginning to show signs of recovery. The chairman of the Johor chapter of the Real Estate and Housing Developers Association (Rehda) Simon Heng said a majority of its members reported encouraging sales in the second half of 2010. “Our members are upbeat that the momentum is likely to continue this year and probably until the first quarter of 2012, provided there are no unforeseen circumstances in the economy,'' he told StarBiz. Heng noted that in the last Malaysia Property Expo (Mapex) held here in November, the 33 developers which took part in the four-day event raked in RM300mil in sales over a one-month period compared with RM140mil recorded in April. He said the 30-day period starting from the first day of Mapex was the benchmark used by Rehda to determine the value of sales by participating developers. Heng said the RM300mil was the highest figure recorded in the history of Mapex Johor in many years and attributed the jump in sales to factors such as the improvement in the regional economy after the 2008-2009 global recession, and an increase in the number of first time buyers and “upgraders” in the local property market. “Many first-time house buyers and upgraders bought their properties in the second half of 2010, as they anticipated that prices of properties were going to increase further this year,'' Heng said, adding that prices of residential properties in Johor had increased by 10% in the second half of last year, and would increase further between 5% and 10% within the next six months. Heng said commercial properties and industrial buildings had recorded even higher price increases of between 20% and 30% as demand for these properties increased in the recent years. Higher prices of buildings materials as well as labour woes, especially a shortage of Indonesian workers, who form much of the workforce in the construction industry, have also contributed to rising property prices, according to Heng. “Iskandar Malaysia will continue to be the driving factor in boosting demand for properties in the southern-most part of Johor, especially the high end residential properties,'' he said. 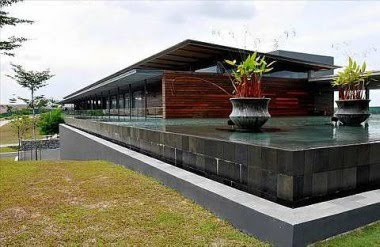 SP Setia Bhd executive vice president Datuk Chang Khim Wah said property buyers had accepted that an increase in the prices of properties in Johor was inevitable, as the same was happening in other parts of the country. Despite that, buyers were coming back to the market, especially first-time house buyers and upgraders, on anticipation that propety prices would continue to rise, he noted. Chang said there was an equal division between first timers and upgraders in its four ongoing projects in Johor namely Bukit Indah, Setia Tropika, Setia Indah and Setia Eco Gardens. He said the completion of several major ongoing road projects in Iskandar Malaysia such as the New Coastal Highway, Eastern Dispersal Link Expressway and Senai-Pasir Gudang Desaru Expressway in the next one to two years would improve connectivity in the southern-most part of Johor. “We also see the demand for strata-title properties in the Johor Baru market going up in the recent years and we are going to tap on this growing segment,'' said Chang. He said buyers for the strata-title properties were mostly young professionals, newly married couples, expatriates working in Iskandar and Malaysian professionals working in Singapopre. Chang said prospective buyers in the Johor Baru property market were now becoming more selective and demanding and wanted more than just roofs above their heads unlike 10 to 15 years ago. He said they were willing to pay more for their properties and had high expectations, including better designs, layout, amenities, nice landscaping and safety and security features. Country View Bhd marketing manager Andrew Tan said 2010 was generally a bullish year for developers in Johor compared with 2008 and 2009, which was considered “slow years ” for many developers due to the global economic recession. Tan said landed properties remained the most sought after in the Johor Baru property market but strata-title properties were also gaining popularity, especially among young people. He said strata-title properties, especially those located nearer to the Johor Baru city centre and the Customs, Immigration and Quarantine complex in Bukit Chagar, were popular because of the close proximity to Singapore. Tan said the 9,712.45ha Nusajaya area was currently the property hotspot in Iskandar, overtaking the Tebrau area which has established housing schemes. The completed projects in Nusajaya are the phase one of the Johor State New Administrative Centre, Kota Iskandar Complex and Puteri Harbour, while the ongoing projects include Asia's first Legoland Theme Park, Newcastle University Medical Malaysia, New Coastal Highway and Indoor Theme Park @ Puteri Harbour. Country View is currently developing the 121.4ha Nusa Sentral project in Nusajaya which will keep the company busy for eight years. It is also building 12 bungalow units priced between RM3.6mil and RM6.5mil each at Johor Baru's most sought after address Jalan Straits View. “Demand for properties in Nusajaya is set to rise in the future,'' said Tan.